As part of our educational mission, we are mentoring a group of UNCW students with an interest in CubeSats and Satellites. Satellite oceanography touches upon a broad range of fields: engineering, data science, marine biology, physics, biogeochemistry, computer programming, etc. If you have an interest in any aspect of satellite research, please contact us, we are always looking for bright and motivated students! 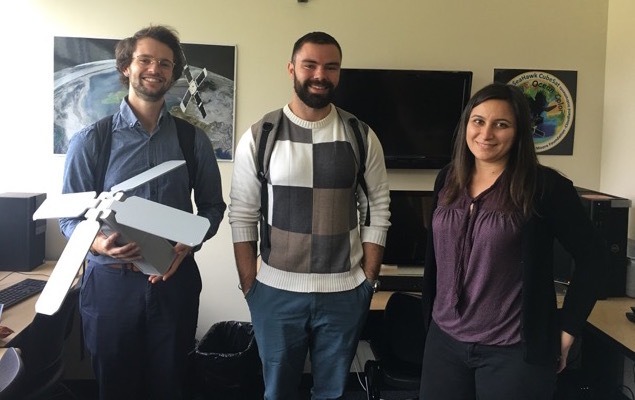 Graduate students Joe and Matt with Dr. Rivero-Calle at UNCW's Satellite Oceanography Lab during North Carolina Space Grant visit in November 2018. Joseph is holding a 3D model (to scale!) of the SeaHawk CubeSat. 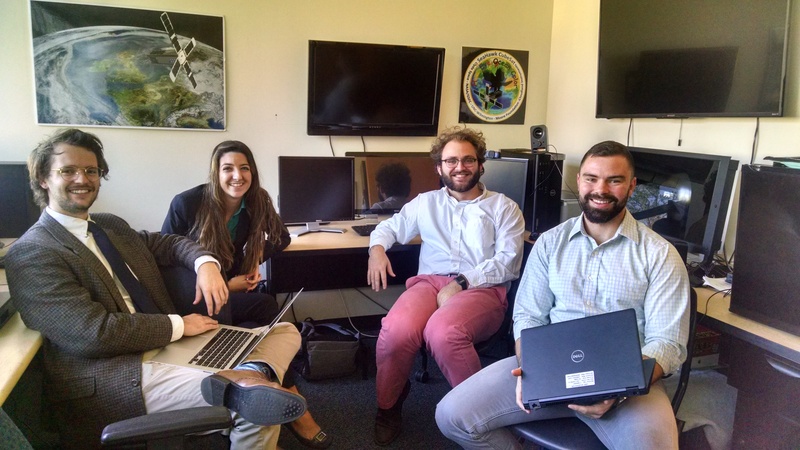 First official meeting of the newly-formed student association: the "UNCW CubeSat Lab". Excited about the succesful launch and communications with SeaHawk-1 on December 4th 2018.